Morishita Shozo-san points this out when referring to a blog entitled “A Teacher aiming to become a Kendo Athlete”. Morishita-san was born in a house of a judo wear sewer, but shifted to making kendo equipment. 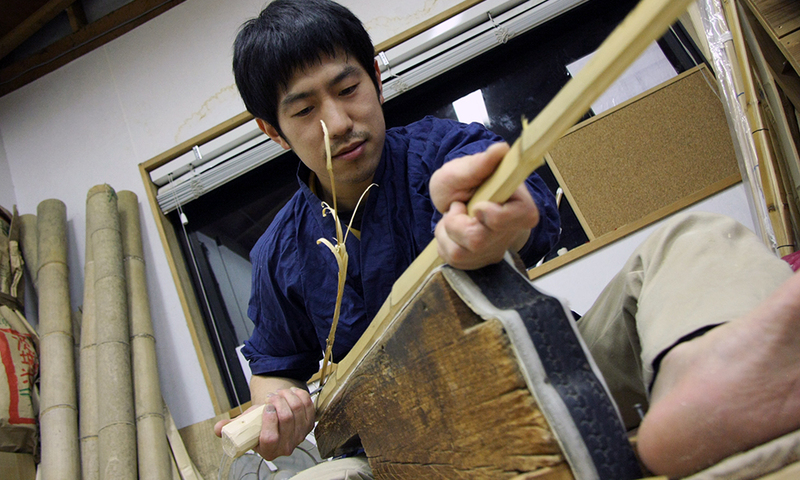 He learned under artisans such as Hirooki Saegusa, and has made kendo equipment for over 60 years. It was probably written by a kendo instructor. It mentions that the length of the shinai in the past used to be ‘80-90-120-80’. This referred to the radius in millimetres at the end of the tsuka, where the right hand is place, the bulge of the bamboo, and the sword’s tip. 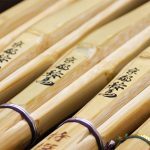 It also mentions that a good shinai is one in which ‘all the knuckles are aligned and is made from 4 staves taken from the same bamboo plant’. 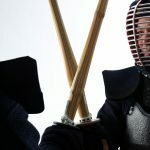 Apparently, someone who read this blog post went to a shinai maker, whom Morishita-san knows, and ordered one with the “80-90-120-80” specifications; even specifying the core down to the millimetre as well as the number of knuckles and their positions. Morishita-san even doubts that there ever were such numbers as “80-90-120-80”. 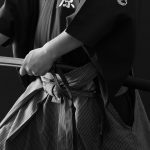 “Recently we get more and more orders specifying the millimetres of the bottom of the tsuka, the tsuba line, and the knuckles. We know that retailers are simply relaying customer requests to us, but we as shinai artisans do not work with a vernier micrometer. 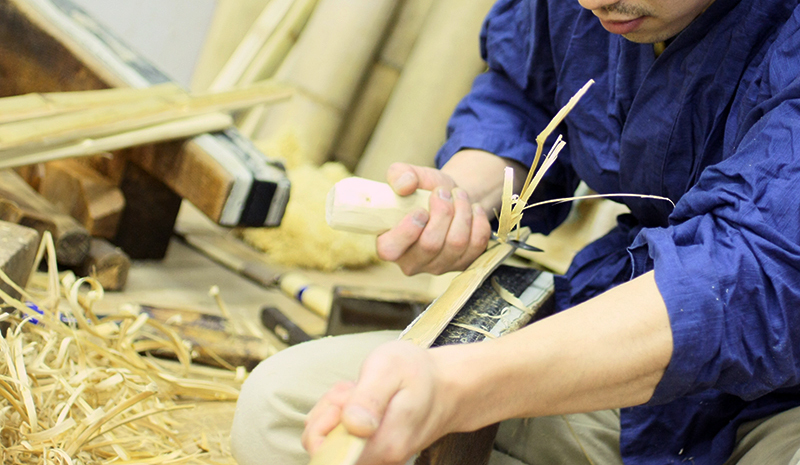 If we make the shinai according to these specifications, we cannot control the weight. 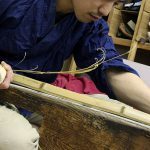 Regarding the claim that a shinai made from 4 staves of the same bamboo is ideal, Morishita-san doubts this because you can actually get 6 staves from most bamboo plants. What do you do with the remaining two? Throw them away? Furthermore, the quality of bamboo is decreasing recently. Past bamboo used to be thin and hard. This means that a large portion of the bamboo was hard, but recently there are many soft parts. Yamaguchi-san says it may be due to global warming or the decaying of bamboo forests, or because of wild boars destroying them. The bamboo ordered for making shinai has an awful lot of variation in the knuckles and strength. What is the standard length of the tsuka of the Iaito on our website?